You are cordially invited you participate in our final all A honor roll! To volunteer, please click the link here. See other details below. This upcoming week, we will start round one of STAAR testing. Monday will be a charger day for teachers of testing students to wrap up last minute preparations. 7th grade will be taking the Writing STAAR on Tuesday, April 9th and their Algebra Qualifier on Wednesday, April 10th. You will find the testing schedule below. Thursday and Friday will be Green and Blue Days, respectively. Please make sure your students are getting enough rest. Snacks are permitted during the STAAR. All technology will be collected by Test Administrators and will not be given back until all students have finished within their testing room. Technology is not allowed to be left in lockers on these days. Reminder: Cycle 5 ends April 5th. All missing work must be turned in no later than 4:00 that day. Report Cards will go home the following Friday, April 12th. This year, we will be traveling as a cluster to George Ranch Historical Park. Students will be traveling on the last day of school, May 31st. We will leave at 9:30 and return at 2:45. Students are expected to bring a sack lunch. More information on the logistics will be given as we approach the date. Sign up to provide goodies here. Cycle 4 ends on February 15th, this coming Friday. As it is early dismissal, we highly encourage students to turn in missing and late assignments prior to that date. We also encourage students to read our previous posts on "action steps" to take in order for optimal success. 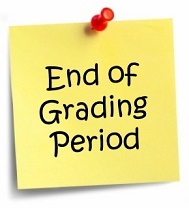 Progress reports will go home on Tuesday during 8th period. We encourage students to not wait unti the cycle ends on 2/15 to make up late work. All teachers have tutorials and are available during Team Time for any necessary assistance. We have noticed and notified students about dresscode. Guidelines can be found on page 12 of the student planner. Polos (dryfit athelesiure is not permitted), undershirts and jackets may only be solid charger royal blue, grey or white. SHIRTS SHOULD BE TUCKED IN AT ALL TIMES. Logos on jackets must be no larger than students IDs which must be on and visible at all times. Jeans may not have holes and shorts and skirts must be at least 2 inches above the knee. (This is not gender exclusive). Students who choose to be out of dress code will be redirected and may be sent to borrow in dresscode attire from the appropriate house office. Student technology must be kept in lockers at all time and use is not permitted on campus at any time. All communication between students and parents will occur through the main or the house offices. Technology includes any technology that connects to WiFi and can send or recieve messages or notifications such as but not limited to tablets that are not exclusively ereaders, smart watches and cell phones. Some students have been excessively tardy to class. We are reminding students that detentions will be given for students who have been tardy 3 times. Students should also be mindful that being in the hallway without a pass also warrants as detention. There is always a designated place for students to be and those who choose to loiter in the hallways during lunch consistently will recieve consequences. Students should only be in the 7C hallway or any hallway if they have a pass to or are currently in a class with the respective teachers. Next week, due to MLK day, we will not have a charger day. We will have TEAM TIME today as it is a regularly scheduled blue day. If your child made all A's the 3rd cycle they will be invited to attend the Honor Roll party next Wednesday during team time. We will be having Chick Fil A, we need a parent to pick up the order at the one on S. Rice and be here by 10:05. Cycle 3 Honor Roll With 7C! I am a graduate of West Virginia University. After a career in college student housing, I entered the teaching profession 13 years ago. Surprisingly, Science was not my favorite class growing up. Now, I LOVE Science! I really enjoy seeing students grow and explore their curiosities! When school is not in session, I spend my time READING, watching/playing sports, and spending as much time as possible traveling the country visiting our family and friends! I am a native Houstonian a graduate of St. Agnes Academy and the University of Texas. This will be my 21st year teaching in HISD and my 7th year at Pin Oak. I love traveling whether it be around Texas or out of the country. I enjoy reading, gardening, listening to music and being crafty. I earned my B.S. degree in Mathematics at Louisiana State University in 2010. I then went on to earn my M.S. degree in Mathematics at the University of Houston. I worked at for a seismic data company for 2 years as a processing geophysicist. I enjoyed my work but it was nothing compared to the joys of teaching I experienced as a teaching assistant at the University of Houston while earning my Master's degree. I chose to earn my Alternative Certification in Math 7-12 and since then I have been teaching! I am a born and raised Houstonian. I attended and graduated from HISD Schools (Poe Elementary, Johnston (Meyerland) Middle School and Lamar High School). I later attended UT Arlington where I graduated with a Linguistics major, a minor in Korean and a TESOL certification. On the weekends I enjoy trying new foods, watching scary movies and hanging out with friends and family. Throughout the 7C blog there are RSS buttons. If you would like to subscribe to Cluster News updates, press the RSS button at the bottom of this page. If you would like to subscribe to each teacher, click on the RSS button on their page.